Nothing brings the spirit of the season into our hearts quite like a great holiday movie. "Christmas films" come in many shapes and sizes and exist across nearly every genre. But all have one element in common: they use themes evoked by the holiday period -- be it goodwill, joy, family bonding and dysfunction, nostalgia, loneliness, commercialism, sentiment, or cynicism -- as a force in their storytelling. Turner Classic Movies: Christmas in the Movies showcases the very best among this uniquely spirited strain of cinema. Some, like It's a Wonderful Life and A Christmas Story, are perennials, while others, such as Die Hard, have become Christmastime favorites only gradually over the years. Each film is profiled on what makes it a "Christmas movie," along with behind-the-scenes stories of its production, reception, and legacy. Complemented by a trove of color and black-and-white photos, Turner Classic Movies: Christmas in the Movies is a glorious salute to a collection of the most treasured films of all time. Among the 30 films included: Little Women, The Shop Around the Corner, Holiday Inn, Meet Me in St. Louis, It's a Wonderful Life, Miracle on 34th Street, White Christmas, A Christmas Story, National Lampoon's Christmas Vacation, Home Alone, and The Nightmare Before Christmas. 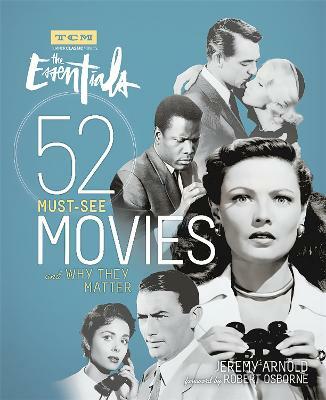 Buy Turner Classic Movies: Christmas in the Movies: 30 Classics to Celebrate the Season by Jeremy Arnold from Australia's Online Independent Bookstore, Boomerang Books.